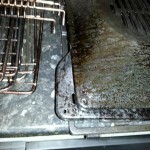 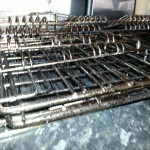 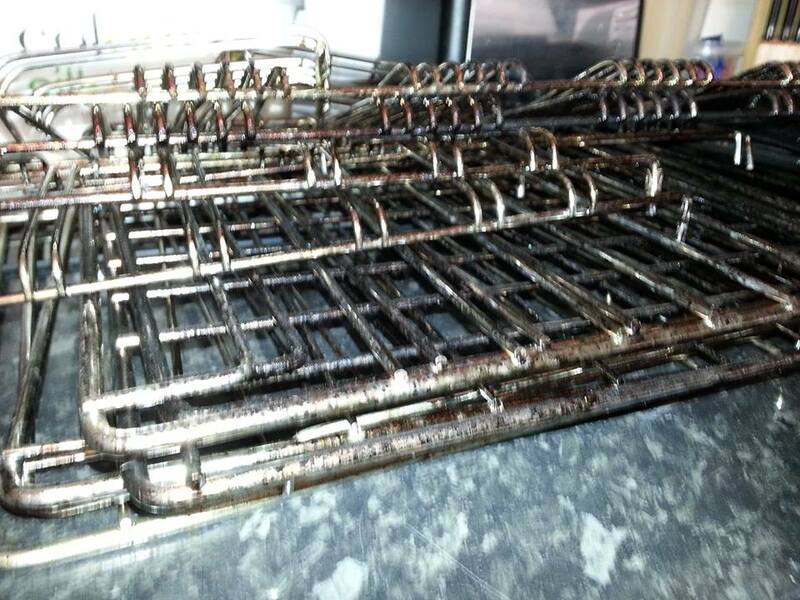 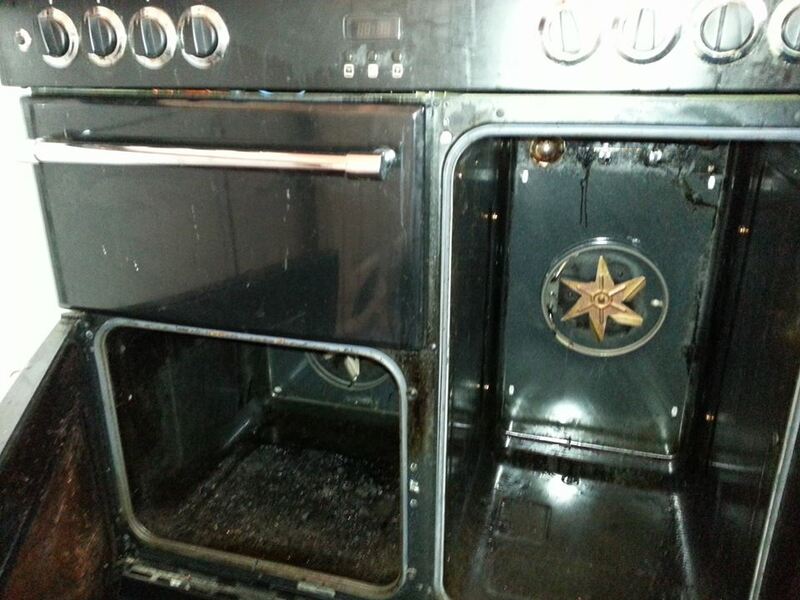 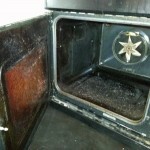 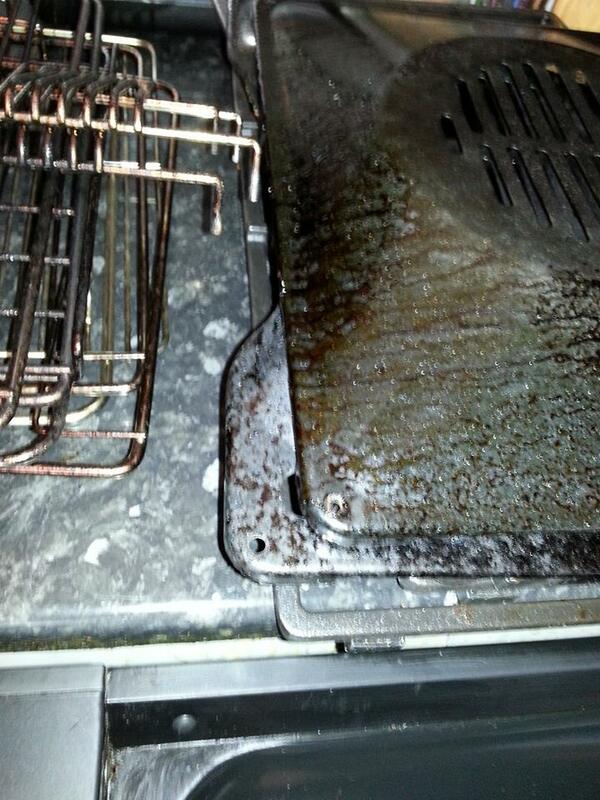 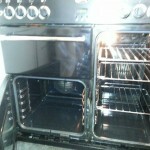 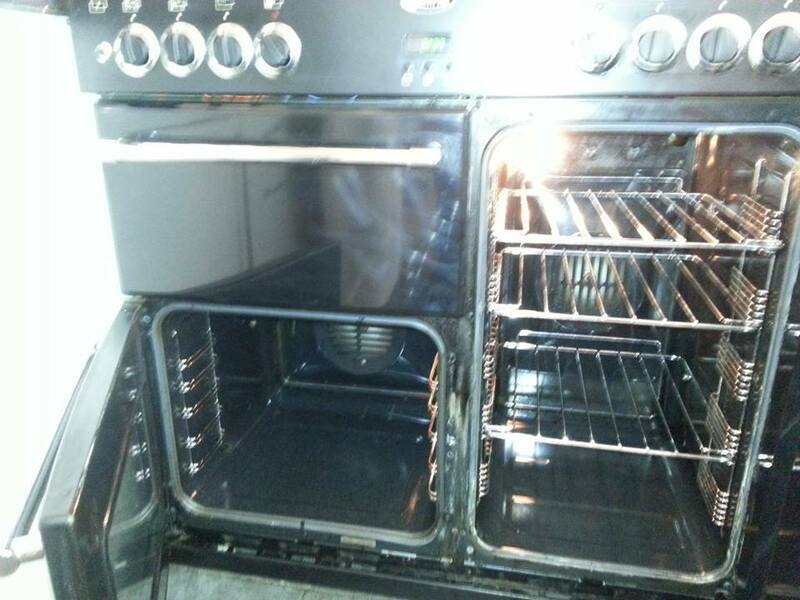 Before and After images of a cooking range clean in Sudbury, Suffolk. 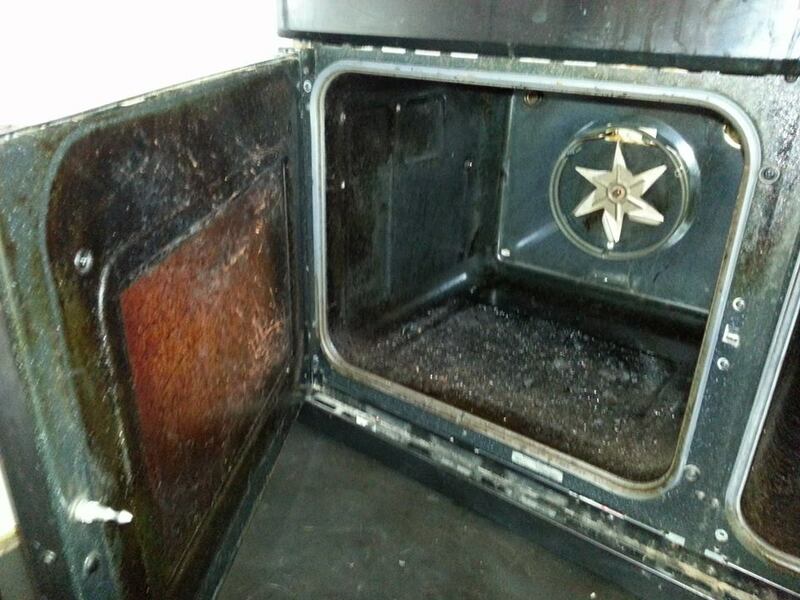 This oven was quite dirty with some baked on grease and grime. 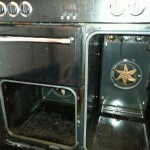 It has been restored to its former glory ready to cook again.